Recent ransomware attacks have taken organizations resources hostage and have demanded ransom to decrypt files and other important data. This eBook discusses the recent trends with ransomware attacks, the anatomy of a typical attack, and how organizations can better arm themselves by taking a layered approach in fighting the next ransomware threat: Neustar Professional Services, Neustar UltraRecursive and Neustar SiteProtect NG. 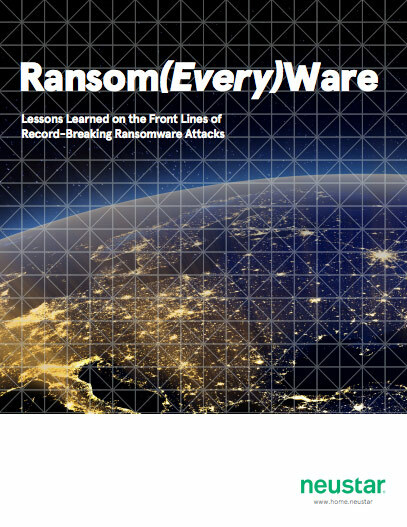 Thank you for downloading Ransom(Every)Ware: Lessons Learned on the Front Lines of 2017’s Record-Breaking Ransomware Attacks!